Things that go Pee in your Crawlspace. Believe it or not this post is not about incontinent home inspectors. That will have to be another post. 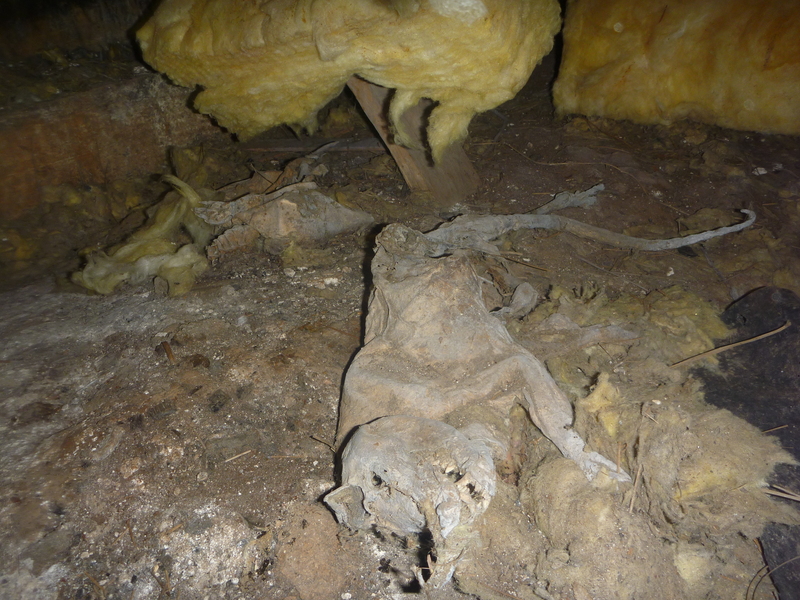 This post is about fuzzy critters and how they get under your home. These tight, nasty, potentially wet areas are easy to neglect. Low, out of sight and most likely disgusting it is usually best to not even think about these places. This mentality also leads to the fact that I will often find defects in these areas. One of the most popular defects I note is openings that allow pest access. Most crawlspaces have these neat little vents for air flow. Compared to the concrete foundation the metal screens on these vents are much easier to bash and slash to allow access for pipes and wires. 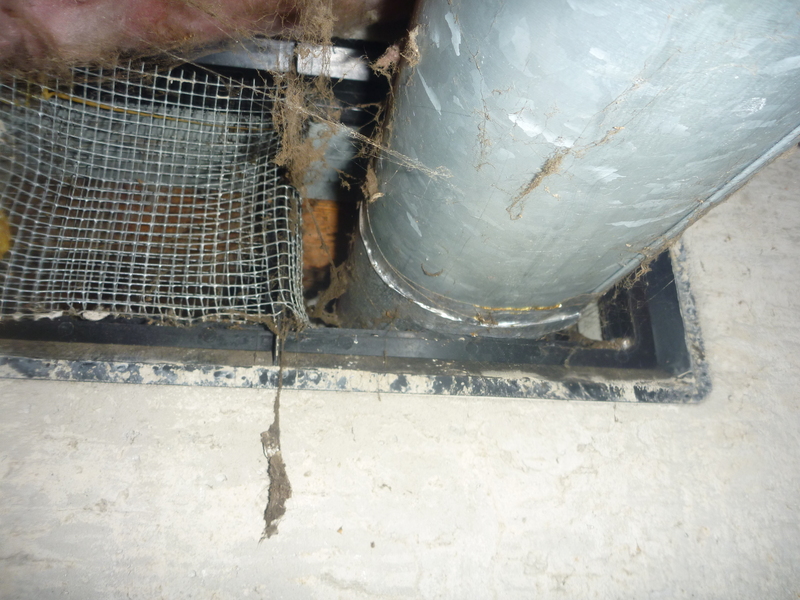 Most contractors care more about their next few hours than about the damage that occurs to the home due to pest infiltration over the years from a hasty hole cut into the crawlspace screen. As an active, preventatively thinking home owner one of the best things to do (short of actually go into your crawlspace because really who wants to do that?) is to open the lid to your crawlspace and smell. Yeah, seriously take a wiff. If you are slapped in the face with years of rodent urine……you may have some more investigation to do. Today as I was doing a home inspection and crawling around looking for damage to my client’s potential home, I put my arm down and something, ……rather large…..*gulp*….pushed back. I figured it was a healthy rat under the plastic vapor barrier. This close encounter along with the smell of a public urinal led me to look for the rodent’s access opening. Finding the hole was easy. Right where the downdraft vented out, the metal screen was completely open. This gave most neighborhood rodents plenty of room to move in. The point of my wonderful, rambling tale is that you can and should check your vents. These are on the perimeter of the home, which means you do not need to enter my place of business (your crawlspace) to see these open critter funnels. Just take a stroll around the outside of your home and look and bend down to get a good look at those vents. Especially the vents near the AC unit, cable, and or satellite connections.